The premier destination for tanning in Wilmington, NC is Ultimate Tanning! Our tanning salon offers a full range of products and services designed to meet your every tanning need, including tanning beds, sunless tanning, spray tanning, custom airbrushing, UV-free tanning, lotions and more. For the best bronze around, come to Ultimate Tanning! 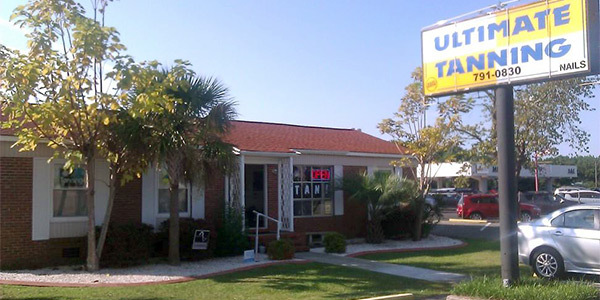 If you’re looking for a great tanning salon, hop into a tanning bed in Wilmington, NC at Ultimate Tanning! We’re the area’s complete and total resource for all things tanning, and we’re pleased to provide a wide range of tanning products and services to our customers. Our goal is to give you the perfect bronze, whether you’re a traditional lay down tanner or you prefer a UV-free spray tan. With both lay-down and stand-up tanning bed options, as well as airbrush tanning in Wilmington, NC, we’re confident that we can deliver the tanning experience that’s just right for you. Whether you need a good base for summertime tanning or you’re looking to keep a rich pigment all year round, we welcome you! We offer both stand-up and lay-down tanning options, to ensure complete comfort. We’ve been in business since 1990, providing a full range of quality tanning services! We carry some of the best name brand tanning lotions in Wilmington, NC, including Millennium, Supre, Snooki, Twilight and Australian Gold. All of our employees are tanning certified.